The PDF format is a reliable file format that is best for transferring and sharing documents through email or online sharing platforms. PDFs will preserve file formatting throughout the transfer process. However, large PDF documents may still be difficult to transfer and share due to a large file size. But not to worry. 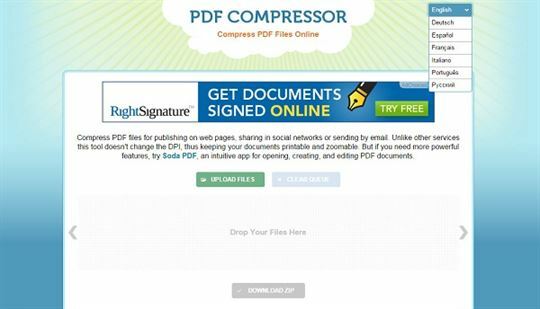 You can use a PDF compressor to reduce your PDF File Size. Here we’ll outline the top 11 PDF compressor tools, including PDFelement ProPDFelement Pro, which will allow you to compress PDFs for free and compress PDFs online directly. PDFelement Pro is a free PDF compressor that will allow you to reduce PDF size on Mac (macOS 10.14 Mojave, macOS 10.13 High Sierra, and Sierra included) with multiple compression setting options. It is not just a PDF compressor, but also comes with a full array of PDF creation and editing features. Try this free PDF compressor for Mac today. Method 1: Reduce PDF file size by removing unwanted objects like text, watermarks, images, links, and more. Method 2. 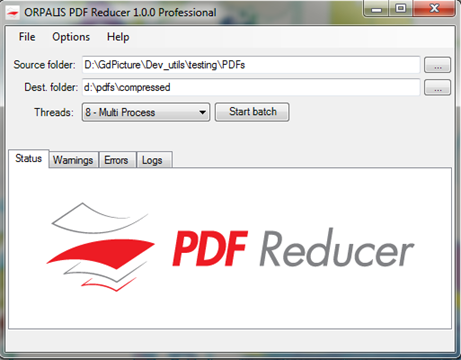 Decrease PDF file size using the built-in compressor. Method 3. 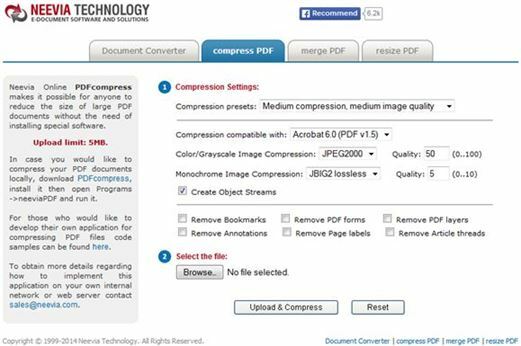 Compress PDF by converting it to other file formats. Method 4. Edit, convert, create, and secure PDF files before compressing and sharing them. This free PDF compressor application is a free tool that allows you to easily and quickly compress your PDF files to decrease file size for easier sharing. Simply add the PDF file you want to process, and select the output file type. Press start and watch the progress bar until completion. Your compressed file will appear in the output folder. What makes this downloadable PDF compressor stand out is the fact that you can drag and drop PDF files onto the interface. Also, the app offers a variety of unique features that make it stand out from other similar applications and produce great results. The compression speed is very fast, making it the to-go free tool for anyone needing a solid compressor. Just like the website says, this Free PDF Compressor is portable and helps you remove duplicate PDF files as well. It manages to quickly and easily reduce the size of your PDF, and is an easy to use, reliable tool. Instead of dealing with online tools, you can download this program to compress your PDF files. The revolutionary technology in this software lets you fully transform up to 80 different files to the size of a normal PDF, and manages to provide excellent end results. 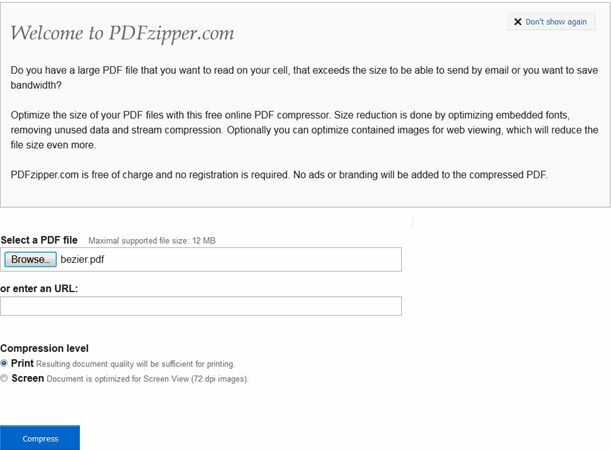 A simple and reliable tool, this PDF compression program is great if you’re looking for fast, reliable and reputable PDF conversion done right, without the loss of viewing clarity. This app is suitable for a variety of Windows versions. This website has a drag and drop interface and a great user experience as well. It's very easy to learn how to use the product, and you will surely like the result. PDF Compress is intuitive and reliable, making it a great go-to for PDF compression. iLovePDF is an easy-to-use online PDF compressor. With the help of this online PDF tool, you can easily compress PDF files online to retain the original quality of the PDF but reduce the file size. This site provides much more than a simple conversion interface. It is very reliable and well suited for a variety of purposes related to PDF conversion. 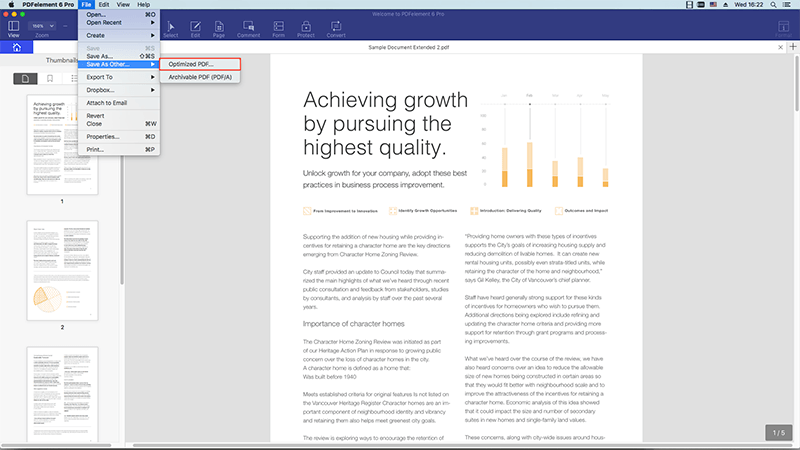 It's easy to use and helps you get the most out of your PDF. One interesting thing to note on this site is the fact that you can access a multitude of compression presets and image compression formats, not to mention that you also have the opportunity to remove items from your PDF, such as annotations, layers, threads and more. This tool is a very simple and comes with some unique compression tools. You just need to upload the file, and then the website will automatically compress it send you a download link which is generated immediately by the site. It is a great compressor and a reputable one as well. Thanks to a great interface and a multitude of features, PDF compressor removes the need for complicated features, making the compression process quick and seamless. This app is reliable and unique, and is a great option for helping with your PDF compression needs. 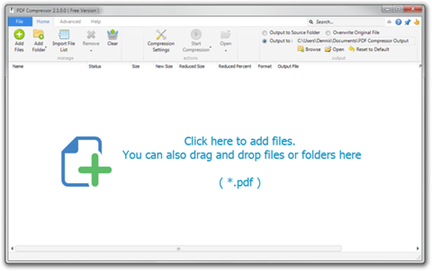 PDFzipper works with a variety of large or small PDF compression tools, producing a great end result. It has a fast speed, and is a reliable and suitable tool for day to day compression needs.